Lawrence, Evans & Co. LLC was founded in 2003 and has since grown to include a full staff of consultants with a diverse range of backgrounds and experiences. Clients typically are under $250 million in revenues and maybe distressed or start-ups. We provide investment banking, corporate finance, and advisory services. See an overview of our services. 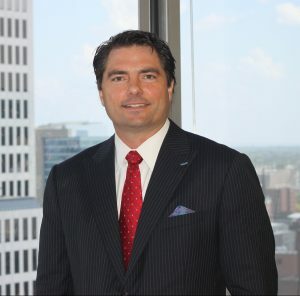 Neil Johnson has more than 19 years of healthcare investment banking and private equity experience including completion of over $1 billion of corporate finance transactions involving merger and acquisitions, equity and corporate debt financings as well as distressed asset acquisitions and divestitures. As Managing Partner of Lawrence, Evans & Co., LLC, Mr Johnson’s responsibilities primarily include deal sourcing and evaluation, transaction structuring, securing financing including debt and equity, and fundraising. Many of the completed transactions have involved acute care hospitals, senior housing, home health, behavioral health, revenue cycle management, health IT, big data, analytics or other services related companies. Prior to forming Lawrence, Evans & Co., LLC, Mr. Johnson worked at one of the largest asset based healthcare lenders in the country and spent time with a national healthcare investment bank as an underwriter. Mr Johnson’s relevant experiences include time as a healthcare bond trader managing over $100 million in assets at a regional based investment advisor. Neil spent time in Germany with an internet start-up and was involved with a successful sale of an internet consumer marketing company. Additionally, he spent time early on in his career with the bank First Chicago NBD that is now part of JPMorganChase. Neil is a board member and executive of several other companies including 1212 Capital LLC and NS Fund I LLC. He is a member of the Association of Corporate Growth, Healthcare Business Management Association, Healthcare Financial Management Association, Turnaround Management Association, and the First Connect Bio Medical Steering Committee as well as an education contributor to the Harvard Business School. He has a Bachelor of Arts degree in Economics and Management from Albion College. Mr. Johnson received his Masters of Business Administration degree from Ohio State University Max M. Fisher College of Business. He is also a 1994 NCAA National Football Champion, Albion College Hall of Fame Individually and as a 4 time Team Member and NCAA Post Graduate Scholarship Recipient (w/ Payton Manning and Brian Griese). David Opalek has nearly 20 years of real estate finance experience with an extensive background in the affordable sector. Prior to joining Lawrence, Evans & Co., LLC, he worked at Love Funding in 2014, and he spent 10 years originating loans and managing relationships in the Mortgage Banking services division at Red Capital Group where he closed over $2 billion in FHA and agency financing transactions. 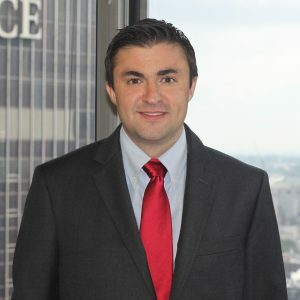 Prior to his tenure at Red Capital Group, Mr. Opalek worked for Banc One in their Corporate Trust Department where he focused on multifamily housing bonds. In addition to his extensive mortgage banking experience, Mr. Opalek has been instrumental in developing new financing structures for the capital markets. Some of his notable accomplishments include the first cash collateralized multifamily housing bonds that fundamentally changed the way that FHA 4% LIHTC are funded and the first Build America Bond collateralized with and FHA loan in the wake of the housing crisis which saved the borrower 30% on their borrowing cost. Mr. Opalek received his BA from Alma College and his Juris Doctor from Wayne State University Law School. Additionally, he received his MBA from the Fisher College of Business at The Ohio State University. 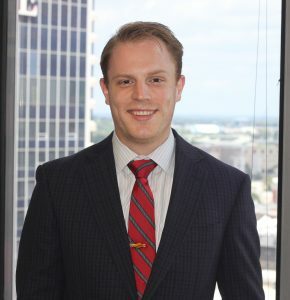 John joined Lawrence, Evans & Co., LLC in 2017 from Citibank where he worked as an associate analyst. Prior to Citibank, he received his Masters in Finance from The Ohio State University. During this time he consulted Medvet, a private equity backed emergency and specialty veterinary hospital group, on acquisition opportunities and also led his team to the super regionals for the CFA research challenge. He received his undergraduate degree from Miami University (Oxford OH) in finance and studied at Miami’s John E. Dolibois European Center in Luxembourg. 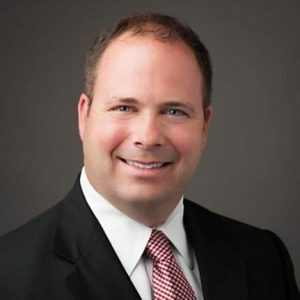 Darin is a graduate of The Ohio State University with a degree in Finance from the Fisher College of Business. Before joining Lawrence, Evans & Co. LLC, Darin was an IT Student Assistant at the Ohio State Libraries where he helped troubleshoot software. Additionally, he served as the President of his fraternity, and was awarded the President of the Year award for 2017 by the Pi Kappa Phi national organization. Darin also spearheaded a fundraising effort with The Ability Experience where he raised over $20,000 for kids with disabilities. Darin has a passion for family, frequently spending his weekends with his family at their lake house in northern Indiana. He also enjoys trap shooting, golf, and reading.